Human life exists in multiple domains: we know of the intellectual domain, the personal domain, the emotional domain, the social domain and the spiritual domains of the human. These domains are expressed as knowledge, skill, balance, insight and identity. Fruit of learning – that is, formal learning, informal learning and non-formal learning, these domains are the building blocks of the human who is informed, cultured, emancipated and self-determining. If the building blocks are not secured by the practice of human values, then these domains may be at risk of decay and open to other influences. What are Human Values? Human Values are those universal concepts, drivers of action which are found in all cultures, all societies, all times and in all places where human beings eke out their lives. The five human values, which can be found in all cultures, all societies and in all religions, are Truth, Right Conduct, Love, Peace and Non-Violence. These values are eternal; they are eternal essences, which elevate human life to its highest expression, its highest capacity. Human values have an inherent energy and dynamism. Human values do not follow the laws of physical science. They cannot be depleted. Normally, when we spend energy our resources we become drained of energy to the extent of our expenditure. However, human values multiply as they are applied, used, expressed and acted out. They benefit both the giver and the recipient. We have a strong foundation as “the human”; we have inner guidance, we have strength of character, we have endurance. In this time of chaotic nodes, it is strength of character, fortitude and endurance that are needed most. We need energy, energy that is built on a strong foundation, an unshakeable foundation. We are all affected by energies. We wake up, moving out of that twilight zone of sleep into everyday activity; we slowly get ourselves into gear, or we spring out of bed ready for action. We have a day ahead of us, we have plans, we may have appointments, we might have tasks to do like go to work or go to school or just get the rest of the family up and get them fed and off on their way. Some of us have to recharge our energy with a bath and wash, others recharge their energy with fluids and exercise, still others take to meditation and silence to recharge their batteries and prepare for the day that is coming towards us. We all have a routine, and our routines get our energies flowing for the day. While our personal energies are flowing, we are tuning into other energies; the thoughts that others hold for us, the thoughts which we hold and the feeling we have for others go out from us, for everything is energy. We can have a loving thought, we can have a gentle thought, we can have hurtful thoughts. Hurtful thoughts do us and others no good, and suggest that we have got out of touch with the soft voice of the soul and its inner guidance. We can return to our stable selves by calming down, having a drink of water, or repeating a favourite mantra, or even, focussing on our heart, our physical heart with gratitude for all that we have. We can always take possession of ourselves again, and not let thoughts be our master. (They never were!) We are always in charge … our ability to pause, reflect, be self aware and then choose our actions are what make us different from animals and from others who selfishly act and react all the time. We are humans, and as humans we have inner guides to action, our values. We don’t have to be affected by the energy of others, we don’t have to be affected by how others react to things around them. We can be calm, we can choose how we will act, by examining a situation, evaluating what is happening here and whether it is good for us or not by taking what is happening into context with our values, our inner guides to action. Our good character and capacity for choosing what it is we will think, feel, say and do. That’s true humanness, when we act with integrity, keeping our words, thoughts and actions in alignment. And the more we do this, the stronger our character becomes. Others evaluate our character and infer what our character is from what they see us choose and put into action, what we say and what we do. So we can also choose what energy it is we will tune into. We choose our music, we choose our recreation, we choose our friends, we choose how we relax, we choose how we exercise and how we rest. We also choose how we spend energy. All these choices are putting energy into action. And the stronger our character, the more the energy, the action, the choice, will reflect who we truly are. We are human beings, we have self-awareness and we can create! We create the life we live, we create the world we live in, we create all our experiences. This is human authenticity. But what if our environment is polluted? What if we are bound by our circumstances? What if we cannot choose something better right now? What do we do? We are always free on the inside; we are always free to decide how we are going to feel, how we are going to rest, how we are going to spend energy internally. We can choose to have peace within; we can choose to have truth within, we can choose to have non-violence within, we can choose to love ourselves and others – even when we are bound by our circumstances, bound in our outer world, bound by duties, responsibilities, our money, our needs, and our lack of money and that our needs are unmet, unfulfilled. True humanness always has an interior space from which we can live and choose our attitude to our circumstances. That interior space is our true being. True humanness is found in the multiple domains we spoke about earlier. These are the areas of human action, human enterprise, human life. We mentioned the intellectual domain, the personal domain, the emotional domain, the social domain and the spiritual domains of the human. All these domains are where we spend our energy, in thinking, in personal action, we spend energy with our feelings, we spend energy in social interaction and we spend energy in our spiritual activities, whatever time and activity we give to the spiritual domain as we experience that. All these domains flow with the practice of human values. Human values are the highest essences, the highest thoughts, feelings, principles on which we base our choices. Intellectual, personal, emotional, social and spiritual – all these activities of humankind are guided by our choices – which reflect our character. “ Watch your thoughts, for they become words. 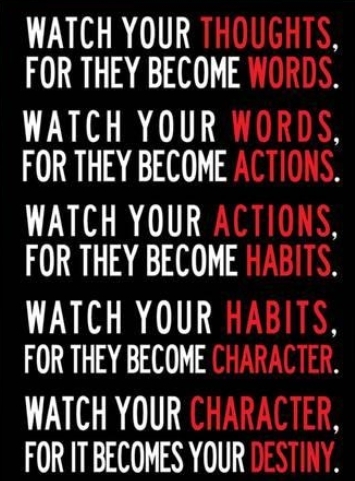 Understand your actions, for they will become your character. Thoughts, words, actions and character are all found in each of the domains: the intellectual domain, the personal domain, the emotional domain, the social domain and the spiritual domain. These domains are shaped by our values. Human Values are those universal concepts, drivers of action which are found in all cultures, all societies, all times and in all places. Human values have an inherent energy and dynamism. Everything is energy and all affected by energies, and the blanket of energies surrounding our Earth. While our personal energies are flowing, we are tuning into other energies; we can also choose what energy it is we will tune into. If our environment is polluted then the formation of our character comes to help us here. We have a values bank which is credited every time we practice human values. We have a character bank which is built up stronger every time we pause, reflect and choose our responses. It is values which form character and character builds the true humanness in the multiple domains we spoke about earlier. All activities of humankind are guided by our choices – which reflect our character. Our destiny is in our hands. 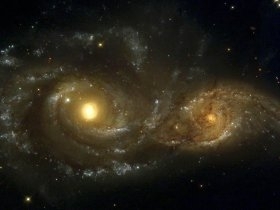 In the movement up to and passing through the energy crest that 2012 represented for all – whatever our expectation of 2012 …. the Mayan Calendar or other phenomena … was – there was a period of disruption leading to a peak, a passing through and a journey to multiple vistas of life post-2012 as the erratic phenomena in multiple domains of human life continue to erupt. Throughout all of this, there has been the underlying presence of chaotic nodes. In our next message, we look to the phenomena called chaotic nodes and what this may portend for all.